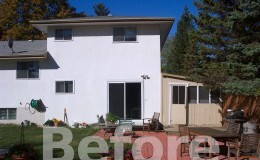 This large beautiful country back yard begged for a new connection space to allow for better use of the yard. 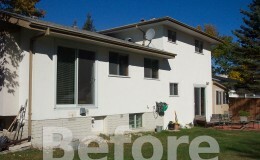 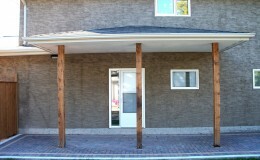 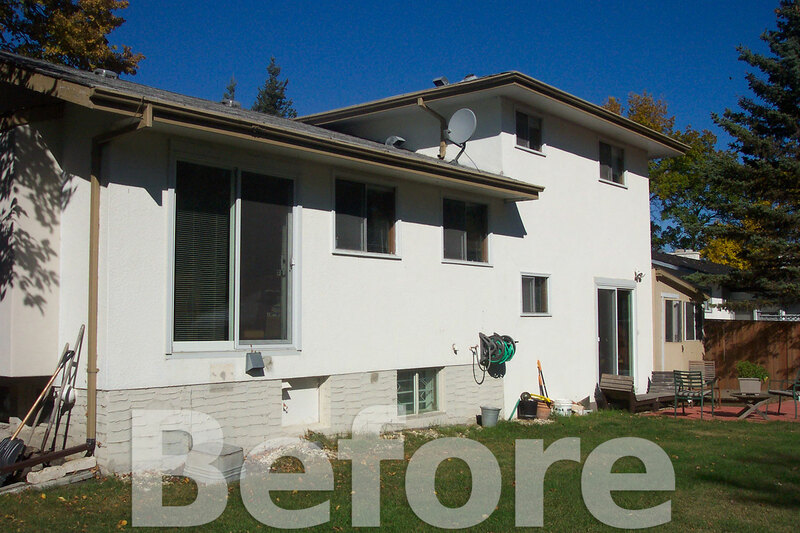 To achieve this, the small lower level family room was expanded out towards the pool . 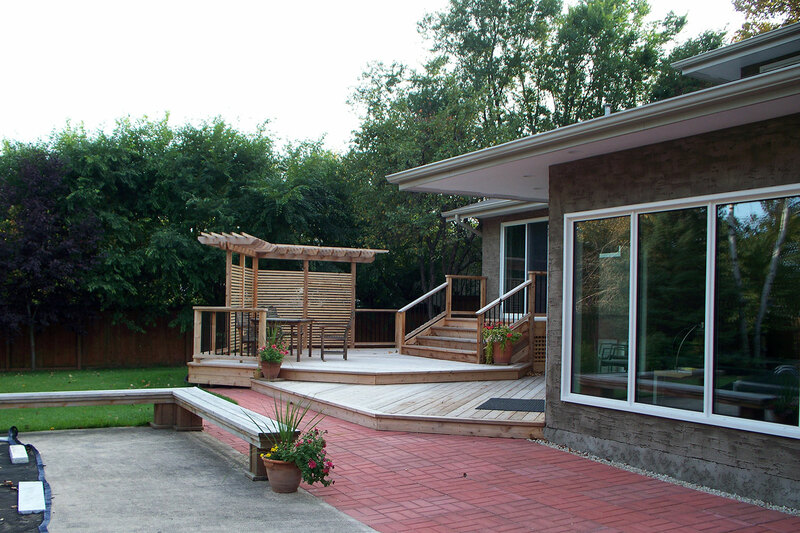 Plenty of glass brought the outdoors in and gave a panoramic view of the beautiful yard. 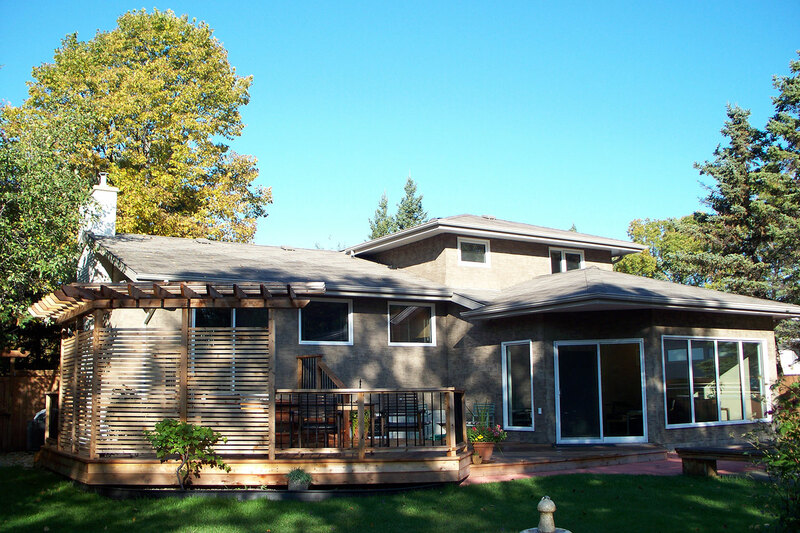 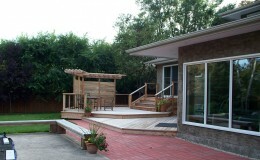 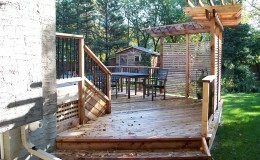 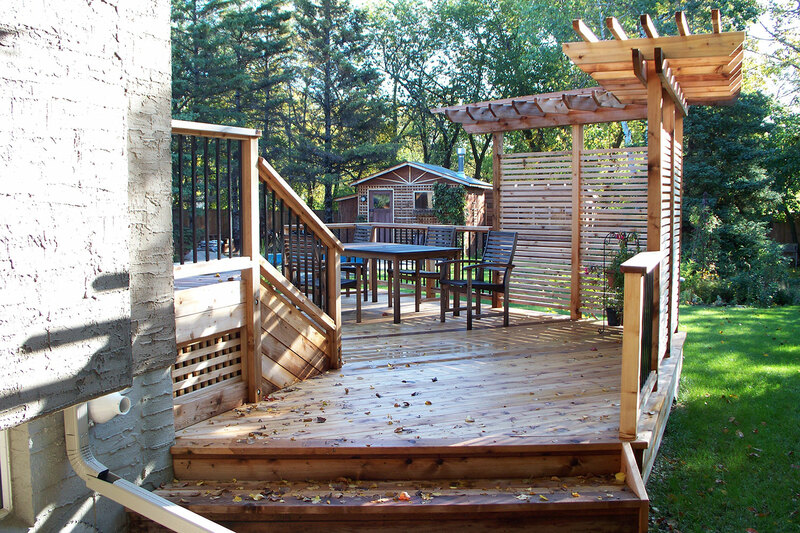 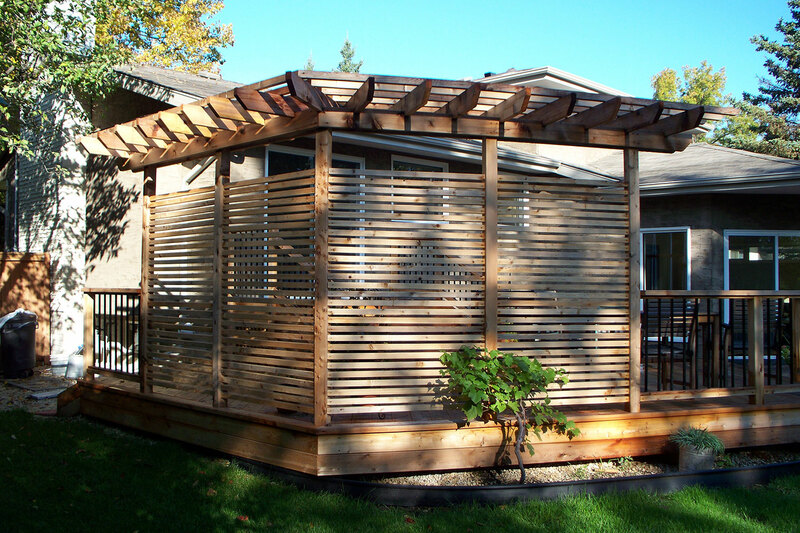 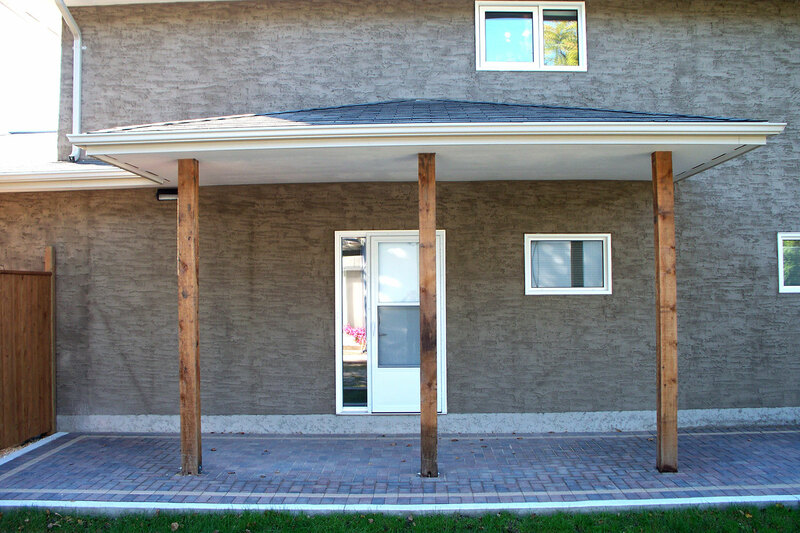 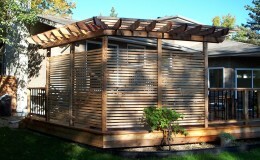 A large cedar deck with a decorative arbor / lattice feature was added to enhance the back yard experience. 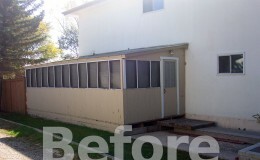 Inside an adjoining bathroom was renovated and a new side entrance door with roof canopy added. 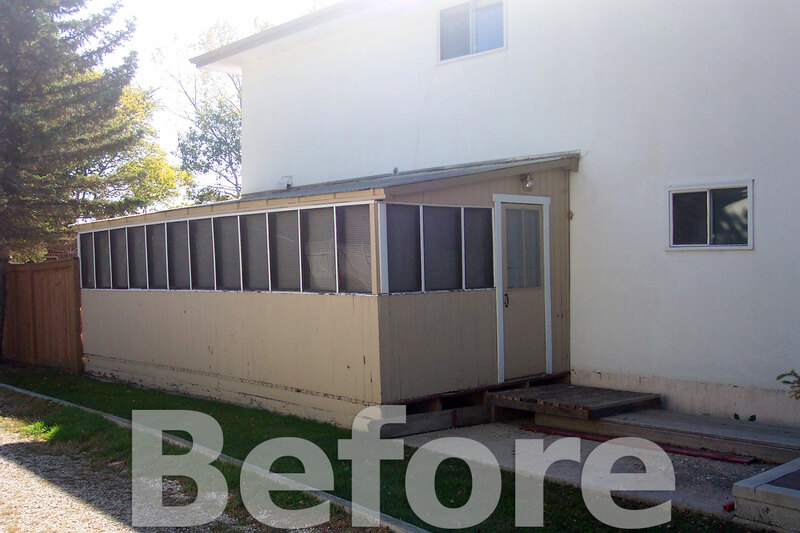 A sadly lacking back door closet was added to cap the transformation of the area.